Hi! I'm just popping in to share a wedding card I made for my co-worker. He got married this weekend in the middle of a rain storm. Well, they do say rain on your wedding day is good luck. I colored Wedding Dance from KennyK with my Copics and cut the happy couple out using the Classic Circles Nestabilities. 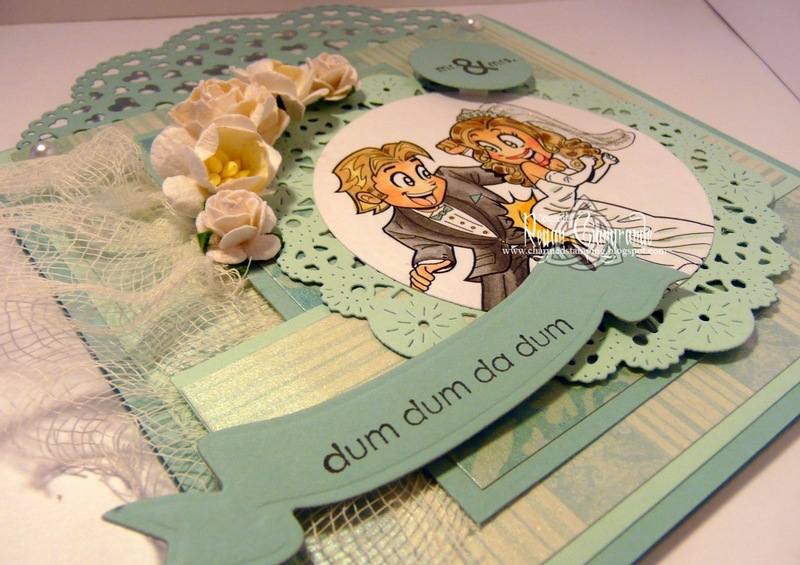 The doily behind them is French Pastry from Cheery Lynn Designs. 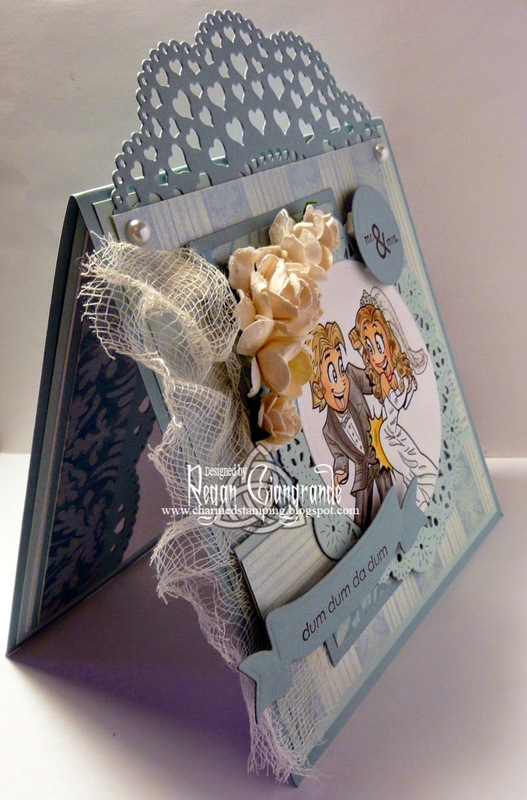 Topping the card is the Heart Doily Border die from La-La-Land Crafts. I added flowers, a couple of flat back pearls, and some cheesecloth. 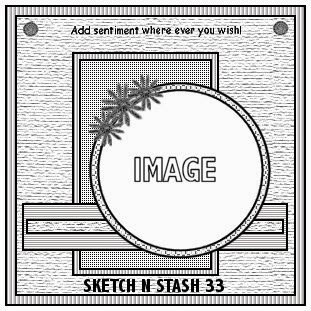 The Mr. & Mrs. sentiment is from Stampin' Up (also cut with the Classic Circles Nestabilities) and the dum dum da dum sentiment is by Savvy Stamps (cut with Ribbon Banners by Spellbinders). 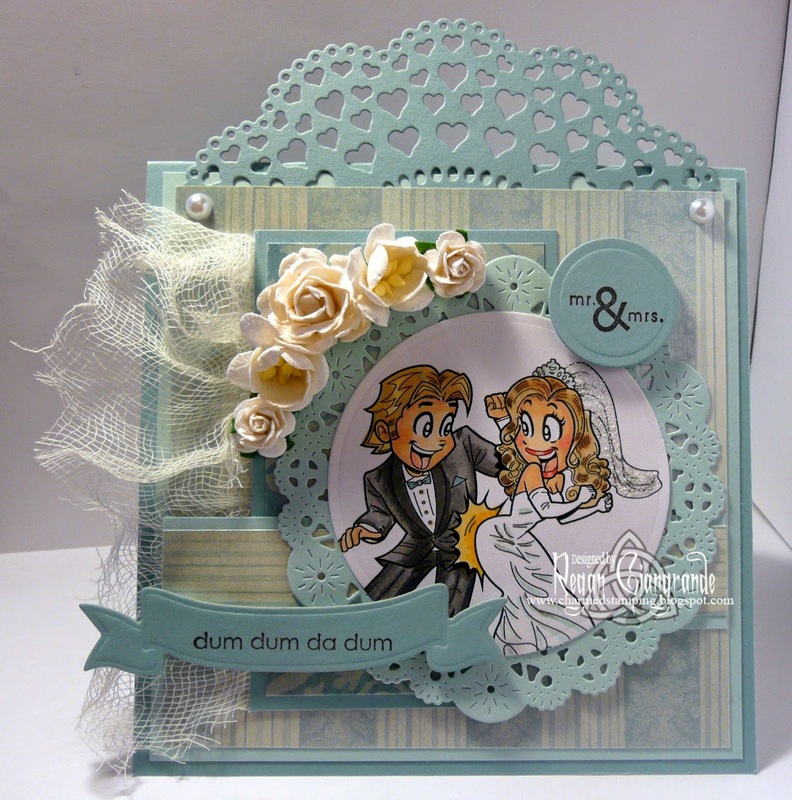 Papers are from the DCWV Luxury Stack and the layout for the card is from Sketch N Stash (#137). May is a busy card making month for me so I'm sure you'll be seeing a lot of me. Or very little! lol It could go either way! I hope everyone enjoyed their weekend and is ready to start a brand new week! Markers used: Copics (E00, E11, E21, E31, E34, R02, R20, R24, R32, Y23, Y28, Y32, Y35, N0, N2, N4, N6, BG10, BG72). Regan, your card is absoulutely wonderful! I bet your co-worker & his new bride were thrilled with it! Thanks for taking the time to visit my blog & for leaving a sweet comment!